WhatsApp announced the long-awaited privacy feature on April 3, 2019, and it will be rolling out for Android and iOS as long as you're on the latest version of the app, so make sure to update and be patient. When the feature does hit your iPhone or Android phone, you'll know by heading to Settings –> Account –> Privacy –> Groups inside the app. 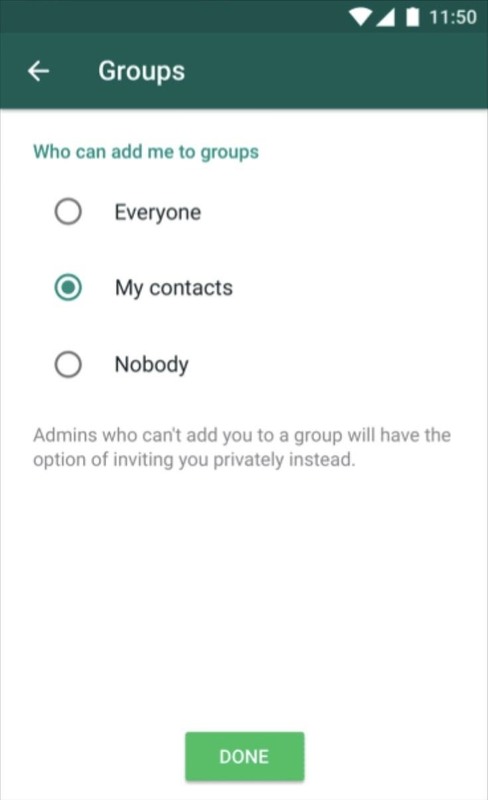 In the new "Groups" setting, you'll see three options: "Everyone," which will allow all users to add you to a group; "My contacts," which will allow only your contacts to add you to groups; or "Nobody," which will block all users from adding you to new groups until you okay it. Users who are not approved to add you to groups will need to send their invites via a private message. 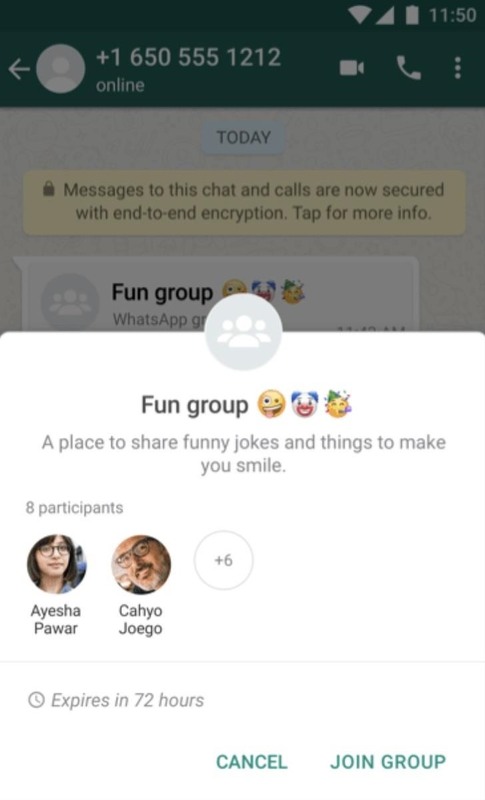 This private message will be started via a WhatsApp pop-up, by tapping the "Invite to Group" option as seen above. 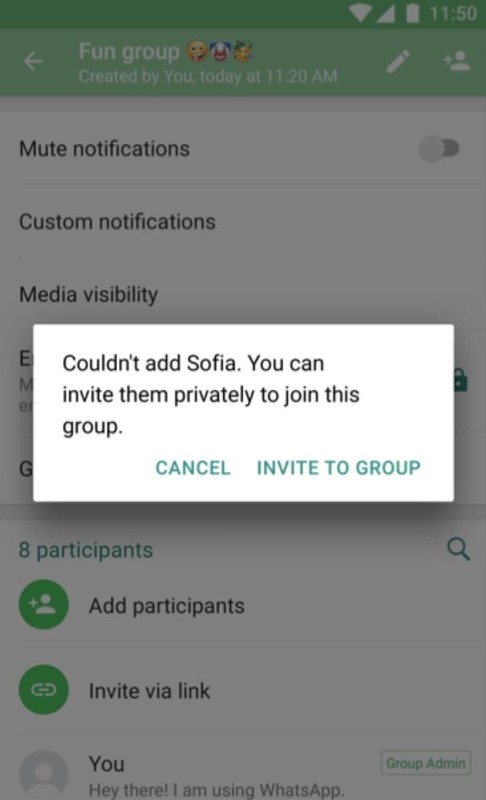 You then have three days to respond to said invite, by tapping "Join Group," before the invitation expires. You can see the group invite's expiration time on the invite itself. If you don't want to join, you can either let the invite expire or choose "CANCEL."